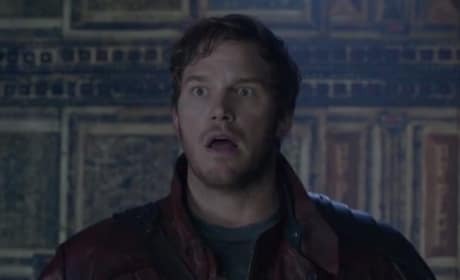 Chris Pratt is Star Lord in Guardians of the Galaxy. 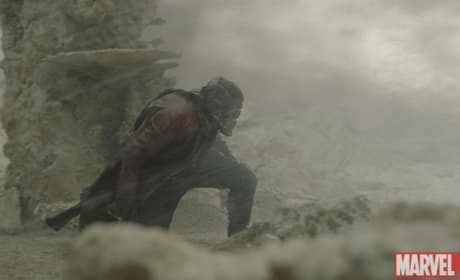 He's also known as Peter Quill. 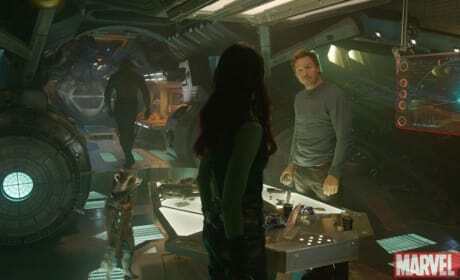 Dave Bautista, Zoe Saldana and Dave Bautista aboard their ship in Guardians of the Galaxy. The latest Marvel movie lands August 1. 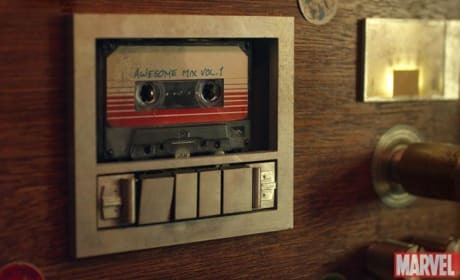 Star Lord's famous tape in a still from Guardians of the Galaxy. Chris Pratt is Star Lord. 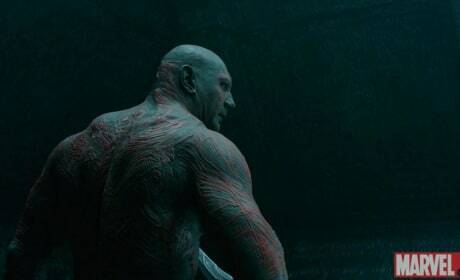 Dave Bautista is Drax in a still from Guardians of the Galaxy. Chris Pratt also stars. 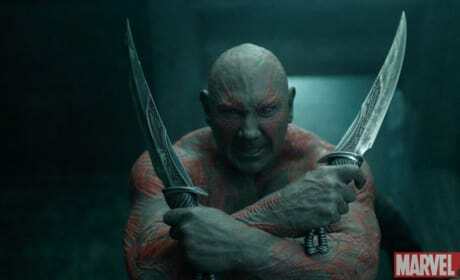 Guardians of the Galaxy star Dave Bautista. He is Drax the Destroyer. 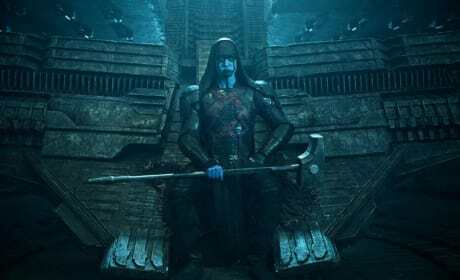 Ronan the Accuser in Guardians of the Galaxy. Lee Pace is Ronan. 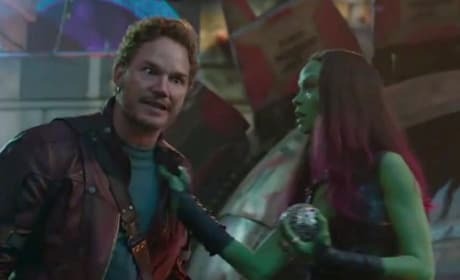 Chris Pratt and Zoe Saldana star in Guardians of the Galaxy. Dave Bautista also stars. Groot is voiced by Vin DIesel in the latest Marvel superhero adventure. Guardians of the Galaxy lands August 1. 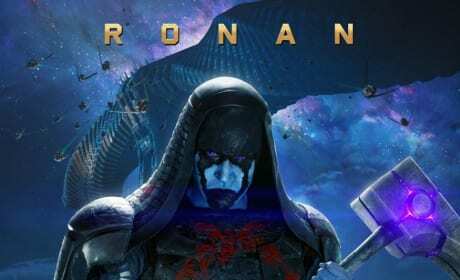 The Ronan the Accuser poster for Guardians of the Galaxy. Lee Pace plays Ronan. The Korath poster for Guardians of the Galaxy. 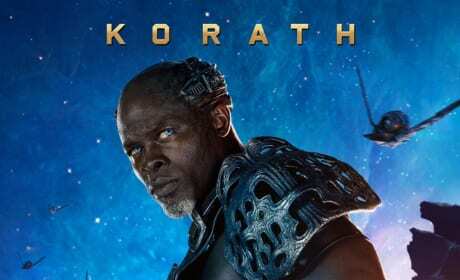 Djimon Hounsou plays Korath. The Nebula poster for Guardians of the Galaxy. 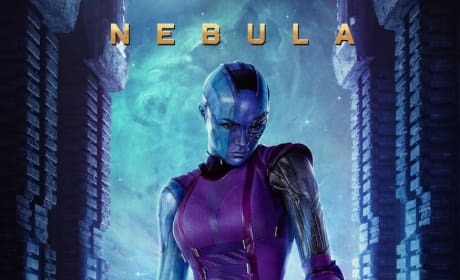 Karen Gillian plays Nebula. Chris Pratt is Peter Quill in Guardians of the Galaxy. He also goes by Star Lord!